Please review these terms and conditions before using this referral service. This referral service is provided to you by www.mynewsmile.com and Infinity Dental Web, Inc. subject to the terms and conditions given below. By using this referral service, you are indicating your acceptance of these terms and conditions without reservation of any kind. 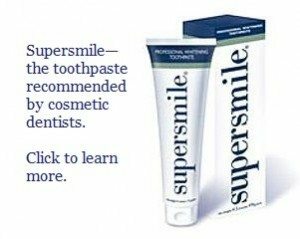 The listing of any dentist on this website is not to be taken in any way as a complete endorsement by www.mynewsmile.com or Infinity Dental Web, Inc., or a warranty of any sort that the services provided will meet any standard of care. A listing on this website only means that it is the personal opinion of David Hall, DDS, that the dentist has artistic skills and that it is his judgment, based on information received from the dentist, that this dentist has met minimum cosmetic dentistry educational requirements. Listings of dentists are provided based partly on information we have received from these dentists as to the amount and quality of education they have received in cosmetic dentistry. We have screened these dentists based upon their claims of education and our verification of their membership in professional organizations. Based on this information received, and on photographs of their cosmetic dental work provided by the dentists in question, we have recommended these dentists, but you must understand the limitations of this recommendation. We cannot and do not warrant the veracity of the information received, beyond verifying their membership status with and credentials granted by the American Academy of Cosmetic Dentistry. We have not screened them based on the quality of services provided. It is the function of Boards of Dentistry in the respective states in which these dentists practice to regulate the practice of dentistry in such a manner that the public is protected from unscrupulous and incompetent practitioners. You may check with the appropriate dental board for information about any dentist you wish to visit. We have no resources at our disposal to guarantee that the dentists listed will provide any given level of care. Www.mynewsmile.com and Infinity Dental Web, Inc. assume no liability to you or anyone for the services provided by dentists listed on this site. You hereby waive any and all claims you may have against www.mynewsmile.com or Infinity Dental Web, Inc. regarding any dental services or products, and you agree to look solely to the dentist, dental office, or other entity furnishing products or services to you for satisfaction of any claims related to such products or services. You also need to understand that advice given here is intended to be general advice for the public and not specific advice for your condition. This website has no intention of establishing a doctor-patient relationship with any visitor. It is impossible for me, from a distance, to conduct an adequate diagnosis to be able to warrant the accuracy of any recommendation. For specific problems, you need to consult a licensed dentist in person, and not rely on advice given here. You agree that any dispute or claim that may arise out of or relating to this Agreement, regardless of the amount of injury you may have sustained or any claims of negligence or breach of contract by www.mynewsmile.com or Infinity Dental Web, Inc., shall be settled by arbitration in the State of Arizona. The dentists we recommend on this site are invited to become sponsors of the site, and for that they pay a modest annual fee that helps cover the costs of maintaining the website. However, this fee is not required and some of the dentists we list and recommend have chosen not to be sponsors. We try to choose who Dr. Halls feels are the best cosmetic dentists in every area.